What it is: Autodesk's Project Escher enables creators to print large-scale 3D parts with an unprecedented level of detail and speed. Project Escher is essentially a software and control technology that governs a series of 3D printers and coordinates their collaboration, assembly-line-style. Why it's important: The distributed labor approach Project Escher takes will dramatically accelerate large, complex 3D print projects. In the future, Autodesk believes Project Escher could also incorporate different technologies like laser cutting. What it is: A Microsoft Research project called Holoportation is a 3D capture technology that enables users to reconstruct, compress and transmit high-quality 3D models of people anywhere in the world -- in real-time. "When combined with mixed reality displays such as HoloLens, this technology allows users to see, hear, and interact with remote participants in 3D as if they are actually present in the same physical space," explains Microsoft. Why it's important: When virtual communication feels as seamless and lifelike as face-to-face communication, we'll see a dramatic rise in its adoption -- both in consumer technology and in the enterprise. What it is: We've seen artificial intelligence systems beat humans at strategy games, but a collaboration between humans and an AI program recently wrote a short-form novel that made it past the first round of screening for the Nikkei Hoshi Shinichi Literary Award. As Futurism reports, this is the first time that the literary award has received AI-generated submissions: "Out of 1,450 entries, 11 were apparently written by non-humans." Why it's important: Thus far, we've seen AI used most frequently in quantitative situations. But imagine what happens when we enter a phase where, as Futurism describes, "...our greatest works -- works that perfectly capture what it truly means to be human -- may not be written by humans." What it is: Imagine solar cells so tiny that they can float on top of a soap bubble without popping it. That's exactly what MIT researchers have created: photovoltaic cells as small as 1.3 microns thick (for comparison, LiveScience notes a human hair is about 100 microns thick) and weighing just 3.6 grams per square meter (20 times less than a single sheet of office paper). Best of all, this itty-bitty solar cell performs with the same efficiency as its conventional, glass-based counterparts. Why it's important: Tiny, efficient and light solar cells are universally valuable. "You could imagine laminating lightweight or even invisible solar cells onto windows or other solid surfaces for building- and device-integrated electronics," said study lead author Joel Jean. "A more robust consumer product might use these cells laminated onto a conventional flexible plastic sheet, which you could carry around with you for portable power." What it is: Joint research from the European Molecular Biology Laboratory (EMBL) and the University Pablo Olavide has resulted in a new discovery: when we're trying to learn something, our brains actively try to forget something else. "The findings were made using genetically engineered mice, but the scientists demonstrated that it is possible to produce a drug that activates this 'forgetting' route in the brain without the need for genetic engineering," reports KurzweilAI. Why it's important: This discovery paves the way for PTSD drugs that trigger the brain into forgetting traumatic experiences -- truly personalized therapy. What it is: The just-annonced Samsung Smart Windshield concept uses a motorcyclist's smartphone, an app and a tiny projector to transform the windshield into a real-time dashboard. A rider can see navigation information and send automated responses to emails, text messages and phone calls -- all without interfering with the rider's vision like a helmet display might. Why it's important: Samsung's augmented reality concept indicates how the brand is experimenting with virtual worlds -- and how motorcycles of the future might adopt the autonomous driving features we're now seeing in passenger cars. What it is: We've covered graphene extensively in Abundance Insider, but a new 2D material called Si2BN could be the next big breakthrough in this field. Made up of silicon, boron and nitrogen, the material is just an atom thick. Unlike graphene, Si2BN can function either as a conductor or semiconductor. Why it's important: Si2BN has promising implications for solar energy conversion and electronics applications due to its stable, lightweight, inexpensive and earth-abundant elements. What it is: The University of East Anglia has developed a visual speech recognition technology that can differentiate between similar-appearing sounds like '/p/,' '/b/,' and '/m/'. "Lip-reading is one of the most challenging problems in artificial intelligence, so it's great to make progress on one of the trickier aspects, which is how to train machines to recognize the appearance and shape of human lips," said co-creator Richard Harvey. Why it's important: We've all experienced or observed scenarios in which subpar audio negatively affected our ability to communicate -- think noisy cars, airplane cockpits, or conversations with people who have hearing and speech impediments. A lip-reading algorithm could revolutionize all of these scenarios, and help law enforcement solve crimes. What it is: Researchers at the Royal Melbourne Institute of Technology have created a technology that grows metallic nanostructures directly on fabrics. When exposed to light, these copper- and silver-based constructs create "hot electrons" that, as Gizmag explains, "release energy bursts that dissolve organic matter." It takes about 30 minutes for these nanostructures to form after fabric is dipped into solutions; from there, they observed cleaning action in as little as six minutes after a stain. Why it's important: Imagine clothing and other fine textiles made of fabrics resistant to substances like red wine or tomato sauce. 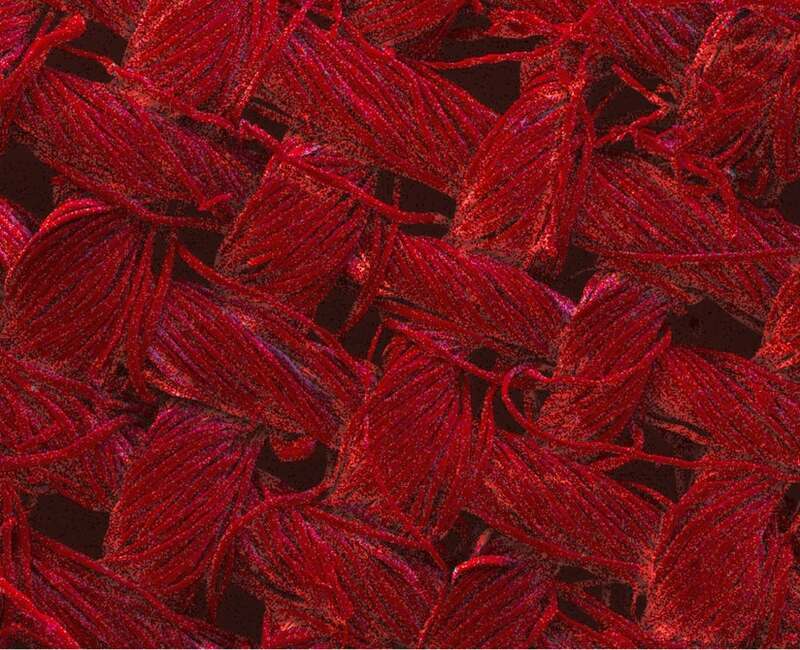 "There's more work to do before we can start throwing out our washing machines," explains RMIT researcher Rajesh Ramanathan, "but this advance lays a strong foundation for the future development of fully self-cleaning textiles." What it is: DARPA's new program, Targeted Neuroplasticity Training, hopes to enable learning "beyond normal levels" via targeted stimulation of the peripheral nervous system. The process involves stimulating specific peripheral nerves through the skin, causing the brain to "release neurochemicals in the brain that reorganize connections in response to specific experiences," according to program manager Doug Weber. Why it's important: DARPA's goal is to, according to KurzweilAI, "optimize training protocols that expedite the pace of learning and maximize long-term retention of even the most complicated cognitive skills." This would dramatically accelerate the pace of training in fields like cryptography, intelligence and foreign languages.